Once upon a time, words such as ‘video games’, ‘X-Box’ and ‘PSP’ were not part of a child’s lingo. Come rain or shine, there was a choice of indigenous indoor and outdoor games that were part of the country’s rich cultural heritage. Many of these games also had the hidden benefits of improving logical and motor skills, hand–eye coordination and focus, as well as mental calculation. Indian myths show the gods playing their own set of games, and the Mahabharata rests its central climax on a crucial throw of the dice – which goes to show that these games have been an integral part of the subcontinent’s culture. While many games appear to have been sidelined or forgotten in recent years, others continue to thrive at the local and national level. What is heartening is that there is also a move to bring back some of the popular games to ensure that their memory and spirit are kept alive. In this spirit of revival, we take a look at some old-time favourites. India gave the game of chess to the world. 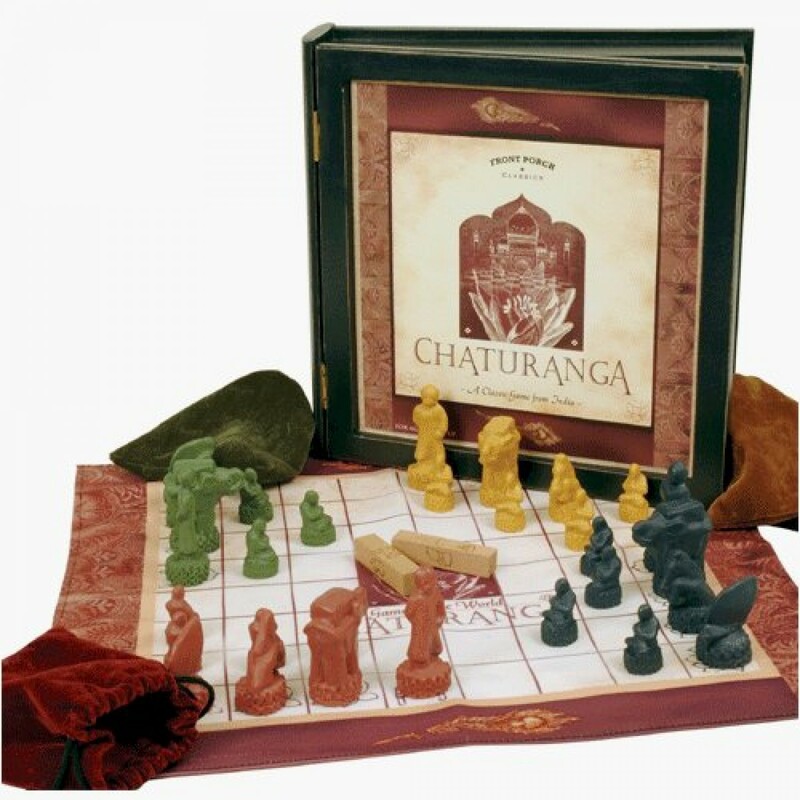 Chess grew out of a sixth century tactical board game called chaturanga, a Sanskrit word that describes the four divisions of an army – elephants, chariots, cavalry and infantry, which would evolve into the modern bishop, rook, knight and pawn. The creator was said to be a mathematician called Sessa, who presented his king with a board divided into 64 squares and two sets of pieces – one set to represent the king’s army, the other his enemy. He taught the king that he needed to sacrifice valuable pieces to win the end game. From India, chess moved to Persia and then to Europe. It is said that Mughal Emperor Akbar played live chess in the courtyard of his palace in Fatehpur Sikri where, seated at a high vantage point, he directed real animals and soldiers around a giant board. Akbar is also associated with the board game pachisi, the first descriptions of which were written at his court in the 16th century, although it dates from 1,000 years earlier. An enthusiast of the game, Akbar laid out a huge ‘board’ on the flagstones of his courtyard where he and his courtiers could play (using, it is said, slaves as the ‘pieces’). The game is somewhat similar to draughts. 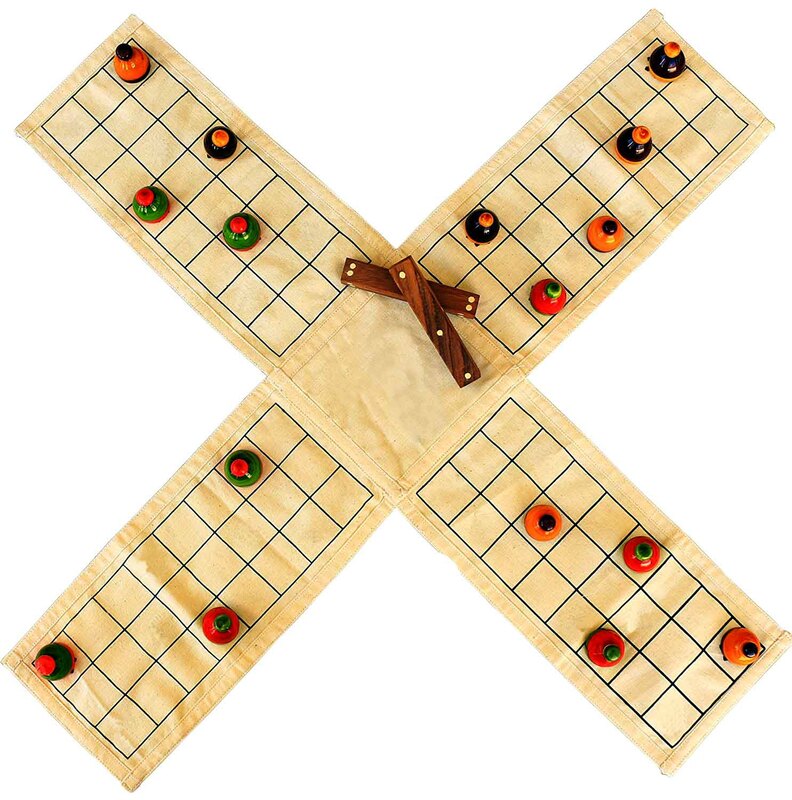 The board is shaped as a symmetrical cross, usually embroidered on cloth, and each player has four wooden pieces, which move around the board based on a throw of six cowrie shells – the number that fall with their openings upwards indicates how many spaces the player may move. The objective is to move all four pieces around the board before an opponent does. More than one piece may occupy a single square, but a piece may not move onto a ‘castle’ square if it is already occupied by an opponent’s piece. Pieces may be captured according to where they land, and players learn strategies that allow them to conclude a game with the exact throws required. 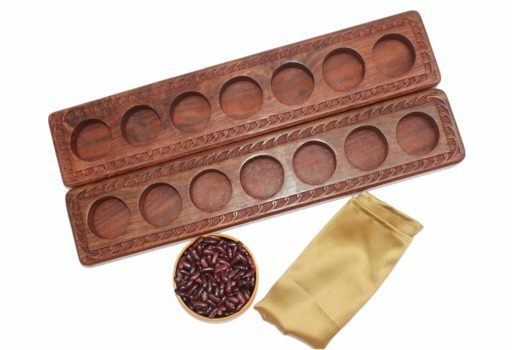 Chaupar (or chausar) is a similar game, with stick-like dice instead of cowrie shells. A 17th century watercolour held by the Metropolitan Museum of Art shows Lord Shiva and his consort Parvati playing chaupar. India is the last country to produce ganjifa playing cards. These mini but lavish works of art came to India from Persia, and were enthusiastically adopted by the Mughals. Circular or rectangular in shape, the cards were hand-painted and made from materials such as ivory or tortoise shell. Cheaper sets were made from wood or palm leaf. The suits are crowns, gold and silver coins, swords, servants, harps, documents and stores. Each suit has two court cards – a King and a Vizier. The objective of ganjifa is to win the most cards by taking tricks. At its simplest, on every turn, each player discards a card and the player who plays the highest-ranking card takes the trick (with one rule: the player holding the highest outstanding card in any suit is obliged to lead with it). There were a number of games played with ganjifa cards, but many of them have vanished as the rules were never written down. A popular game in South India, pallanguzhi is played by two people at a time, with a wooden board that has fourteen pits in it. The wooden boards range from simple rectangular versions to elaborately carved pieces that are treasured as vintage souvenirs. The players use cowrie shells, pebbles or seeds as tokens to play the game, which begins with each pit being filled with six tokens. The players then move around the board, picking up and dropping the tokens into each of the pits. The rules of how to drop and take or ‘capture’ the seeds depends on the game they are playing, and ends when one player ‘captures’ all the tokens. Said to be an entertaining way to improve math and motor skills, the game can become a marathon affair that stretches to several hours. 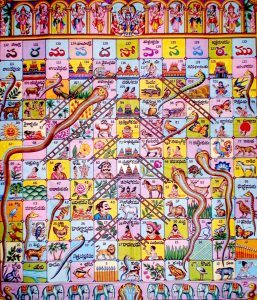 Paramapadham (also known as thayam, and ‘Snakes and Ladders’ in English) was created in ancient India in the 1800s. The board accommodates 100 steps, and the player’s aim is to reach the hundredth step – which signifies heaven or God – at the earliest. A roll of the dice indicates how many places the player can move. When a player reaches a ladder (which represents virtues), he/she gets a boost up. When they encounter a snake (which represents vices), they are forced back several paces. A simple way to impart moral values, the game can become highly competitive, with players trying to race to the top! Kho kho is one of the most popular games in India and demands speed, strength and stamina. Played on a rectangular pitch outdoors, it is essentially a game of tag that has evolved into a tactical team game of nine players each. Eight players from the ‘chasing’ team kneel in a row across the centre of the pitch, each player facing the opposite direction from the player next to them. The ninth is the ‘chaser’, and they take position at the end of the row, ready to pursue the ‘defender’, who must last the seven-minute innings without being tagged. The defender can run anywhere around the pitch and through the central row of kneeling chasers. The chaser, though, can only run in one direction around the row, cannot change direction or cut through the row. Instead, the chaser changes position with a kneeling teammate by touching the person on the back and shouting ‘kho’ – the attack is built up through a relay of ‘khos’, the chasers changing position fast and furiously as they pursue the defender. The game is won by the team that tags all their opponents in the shortest possible time. Kho kho is played by boys and girls, and inter-school and national championships are now held. Likewise, strength and agility are required to play kabaddi, which includes elements of wrestling and rugby tackles in this team contact sport. It is said that a military operation that takes place in the Mahabharata is based on kabaddi, and the modern-day objective is still to raid the enemy’s territory. Two teams compete, with seven players on the court, and five held in reserve. They occupy separate halves of the court. One team sends a ‘raider’ into the other team’s half, chanting ‘kabaddi, kabaddi’ and he must tag any of his opponents and return to his half before he runs out of breath. The referee keeps close to ensure he does not take an extra breath. His opponents, meanwhile, unite to try and capture the raider, and prevent him from returning, by tackling and wrestling him to the ground. Each team alternates in sending a raider to their opponents’ half. Players are declared out if they run out of breath, are tagged, or step over the court boundary, although there are regional variations to the rules. Kabaddi has undergone a major revival in recent years, and international tournaments have sprung up with teams competing from Pakistan, Canada, the United States and the United Kingdom. the gilli has fallen with the danda (each length of danda equals one point). Think of canoe racing, and you will no doubt envisage a fast sprint in a one- or two-man kayak. Now re-imagine that sprint conducted between traditional war canoes that hold 110 oarsmen each, pounding along the usually tranquil backwaters of Kerala, and you have the vallamkali, or Snake Boat Race, part of the annual Onam festivities in the state. There are four main Snake Boat races, along courses upto 40 km in length, which are the highlight of the competitive events that take place on the waters. The most fiercely contested is the Nehru Trophy Boat Race, held on Punnamada Lake in Alleppey. The oarsmen are urged along by crashing drums and cymbals on board each gorgeously decorated boat, and watched by thousands of locals and visitors. Malla-yuddh is a Sanskrit word that translates as ‘wrestling combat’. Competitive wrestling has existed in India for at least 5,000 years, and professional wrestlers, who represented their kings in matches between rival kingdoms, were held in high esteem. Hanuman, the Monkey God, is worshipped as the patron saint of wrestlers, and there are literary descriptions of wrestling matches in the Ramayana and Mahabharata. These fights would have been extreme versions of the modern sport, encompassing grappling, the breaking of joints, biting, choking and striking pressure points. During the colonial period, malla-yuddh, and its northern derivation, kusthi, were regulated. Traditionally, wrestlers lived and trained together, and followed strict rules of diet and lifestyle. Matches took place in a clay or dirt pit. The sport has since become marginalised, with tournaments remaining in a few strongholds, yet they attract competitors from around the world. India has its own home-grown style of gymnastics, called mallakhamb. The main type of mallakhamb is performed on a vertical wooden pole, but variations include hanging mallakhamb where the performer is suspended, and rope mallakhamb, where the performer strikes various yogic poses without knotting the rope. It was devised by a master wrestler during the 17th century, who responded to the challenge of two unbeaten wrestlers from a neighbouring state by introducing the wooden pole into his training regimen in order to learn from the agility of wild monkeys. The exercises are complex, requiring the performer to turn, twist, stretch and balance, and tournaments are held across the country. Mallakambh has so increased in popularity in recent years that it has been performed on television talent shows and in a Bollywood movie. 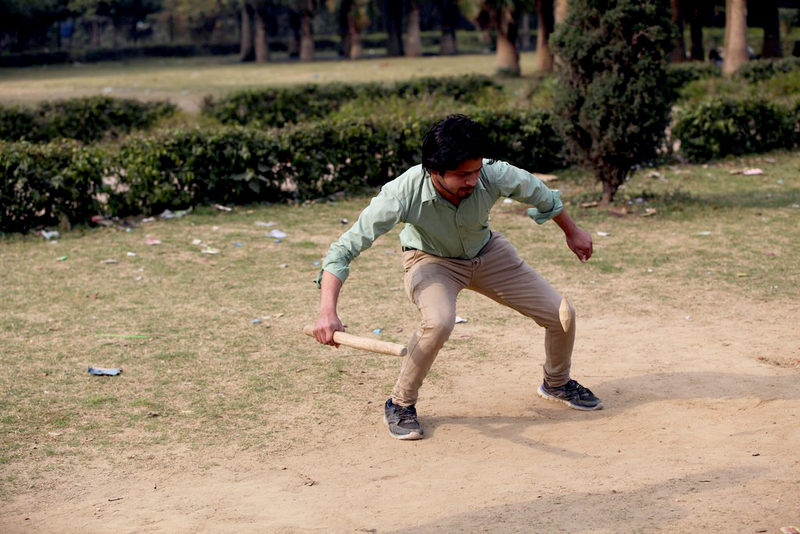 Let us conclude this overview of India’s indigenous sports with the game of kings – polo. A team sport played at speed on horseback, polo was introduced into India from Persia in the 13th century, where it had developed as a training game for cavalry units. Called sagol kangjei in India (literally ‘horse and stick’), polo was enthusiastically adopted by the British tea planters who discovered the game being played in the north-eastern state of Manipur on the region’s indigenous ponies. The Calcutta Polo Club was established in 1862, from where polo spread across northern India – it enjoyed particular patronage from the royal house of Jaipur – to Britain and across the world. The Club created the first rulebook for the sport, and to this day runs the oldest polo competition in the world – the Ezra Cup. Not only did the British endorse the game but they also adopted the traditional style of Indian trouser called the churidar in which to play it. Tight around the calf and baggy at the hips, this design was worn and perfected by a younger son of the Maharaja of Jodhpur, himself an avid and successful polo player. To this day the modern form of ‘jodhpurs’ are worn for horse riding.